Riddell Real Estate is a friendly yet professional, locally owned agency operated by local people who live and work in the hinterland area. Established in 1991, Riddell Real Estate enjoys a reputation of helping both the old and new residents of the community with all of their real estate needs. 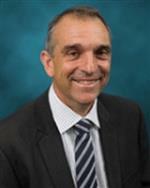 Gary De Paoli, Principal of Riddell Real Estate has maintained a successful Real Estate career with Riddell Real Estate. Gary's passion for real estate has now shifted to the next level, Owner of Riddell Real Estate. A reputation of "getting things done", listening and a casual yet professional approach are Gary's strengths. Gary and his family live in Woombye and enjoy everthing the area has to offer. A family man and actively involved in community events. As Gary often comments " I love what I do". The staff have many years experience and have a reputation of helping both the old and new residents of the community with all their real estate needs.